Frequently Asked Questions about family law in California; especially in the Los Angeles and Orange County communities such as Irvine, Santa Ana, Anaheim and Newport Beach. Clients and visitors to this site may submit a question and if the attorney feels many more will benefit, Attorney Yanez will write an article to help address the question and concerns. Category Archives: "FAMILY LAW FREQUENTLY ASKED QUESTIONS"
As a grandparent in California, you may be able to legally enforce your visitation rights with your grandchildren, especially if your grandchild’s parents are divorced and your former son or daughter in law will not allow you to see your grandchild. Grandparent’s rights are not as easy to enforce as the rights of a parent, and you will need to meet certain criteria in order to establish or enforce your right to spend time with your grandchild. California law states that it will allow ‘reasonable visitation’, which may depend on each specific situation. Your existing relationship with your grandchild will also come into play. I live in Orange County CA; the other parent is not allowing me to see my children, what can I do to see them? In California, it is usually in a child’s best interests to spend time with, and build a relationship with both parents. If your child’s other parent will not allow you to spend time with your children in California, you have the right to take legal action to spend time with your children. If My Child’s Other Parent is Using Drugs, How Do I Protect My Child in California? If you are concerned that your child’s other parent is not providing a safe environment for your child while the child is in the custody of that parent, it is important for your child that you make an effort to protect him or her. However, it is important to remember that a custody order cannot be changed simply because you do not agree with what your child’s other parent is allowing while the child is spending time with that parent; the actions of the other parent will need to put the child in danger, or not be in the best interests of the child in order for the custody order to be successfully modified through the court. How do I modify Child custody, visitation and support orders in OC California? Both child support orders and child custody and visitation orders will likely need to be modified at some point after their creation in order to remain useful. There are various reasons that modifications might be necessary, and a specific court process exists just for these situations. As with all matters regarding family law and children, it is always best to consult a skilled family lawyer in California prior to initiating the process of modifying a court order. There are few cases when a default judgment should be granted without serving the respondent with divorce papers, but it is possible. Under certain circumstances, if a default judgment is entered against you and you have not been served with divorce papers, you may file a motion to set aside the default judgment that has been entered against you. However, depending on the specifics of your case, the process may vary. You should always discuss the details of your case with a qualified divorce attorney before taking legal action. 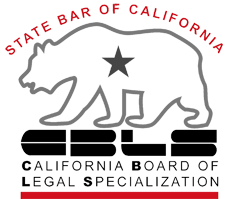 How to File a Motion to Set Aside a Default Judgment in California, Modifying a Child Custody Order in California, Modifying a Child Support Order in California, Modifying a Spousal or Partner Support Order in California, Modifying Court Orders After a Divorce in California, Motion to Vacate Judgment in OC CA, Setting Aside a Default Judgment in OC California, Time Frames for Filing a Motion to Set Aside a Default Judgment in CA, What is Setting a Judgment Aside in OC California?, When Can a Judgment be Set Aside in California? There are many reasons why a couple would opt for a legal separation in lieu of a divorce in California, even if they plan to divorce eventually. In fact, it can make for a quicker and less costly divorce process. So, how do you move from being legally separated to legally divorced in California? What is the difference between a legal separation and a divorce? Why do some people choose one over the other, and why do some people choose both? How Do I Get a Divorce If I’m Already Legally Separated in Irvine CA, How Do I Get a Divorced in OC California if Already Legally Separated?, Legal Separation Vs Divorce in OC California, Orange County Legal Separation & Divorce Attorneys, Property and Debt in a Divorce or Legal Separation in California, What a Legal Separation in OC California Means to You, What is the Difference Between Divorce and Legal Separation in California?, Which Is Better: Divorce or Legal Separation? When you file for a divorce in California, your first steps after finding a lawyer include filling out and filing a divorce petition and some additional paperwork with the court, and then serving the petition on your spouse or partner. In most cases, your spouse has 30 days from the date he or she was served to respond to your petition. (Military divorces and special circumstances can extend this deadline.) In those 30 days, your spouse has several options for what to do. Based on which of the following he or she chooses, you can determine how to move forward. If you want to play it safe, then dating before the divorce has been finalized is not a good idea. However, whether or not it will affect the outcome of your divorce can vary based on your judge, your spouse or partner, your children, and your level of discreetness. Dating prior to the finalization of your divorce does have the potential to affect your divorce, even though California has a no-fault divorce option. CA Dating Before Divorce, California Laws About Having a Relationship Before a Divorce, Children and Child Custody in OC California Divorce, Dating During a California Divorce Should You Consider It?, Dating While Divorcing in California, How to Date During a CA Divorce, Is it Bad To Date Before The Divorce Is Final in CA, Tips for Successfully Dating During Your California Divorce, What Does ‘No-Fault Divorce’ Mean in CA, Will Dating Before the Divorce is Finalized Hurt my Divorce in California? The other party is in the military and I cannot find them, what can I do to move the case along in California if I cannot locate them? When divorcing an active member of the military, you and your spouse may already face obstacles that civilians may not face during a divorce. If your spouse is overseas, you may wonder if you can even file for divorce in California. How will child support or custody and visitation work with a military member who is currently abroad? What about the financial benefits of marriage to a member of the military? California Military Divorce Attorney, Filing For Divorce in California While Your Military Spouse is Overseas, guide on Military Divorce in California, military divorce, OC California Military Divorce Attorney, Orange County Military Divorce Lawyers, Serving a Military Spouse with Divorce Papers from California, The other party is in the military and I cannot find them what can I do to move the case along in Orange County California if I cannot locate them?, What if My Spouse is Overseas but Agrees to a Divorce?